Inovity is proud to have achieved Platinum Partner status with NiceLabel. The NiceLabel software family is one of the world’s major label printing software for desktop, network, mobile, and cloud applications. NiceLabel supports any kind of barcode and Radio Frequency Identification (RFID) smart label, and Global Harmonized System (GHS) printing for more than 1300 thermal transfer printers. 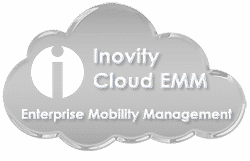 NiceLabel is only available through specialized resellers like Inovity. See the extensive professional label printing software solution by NiceLabel and Inovity.